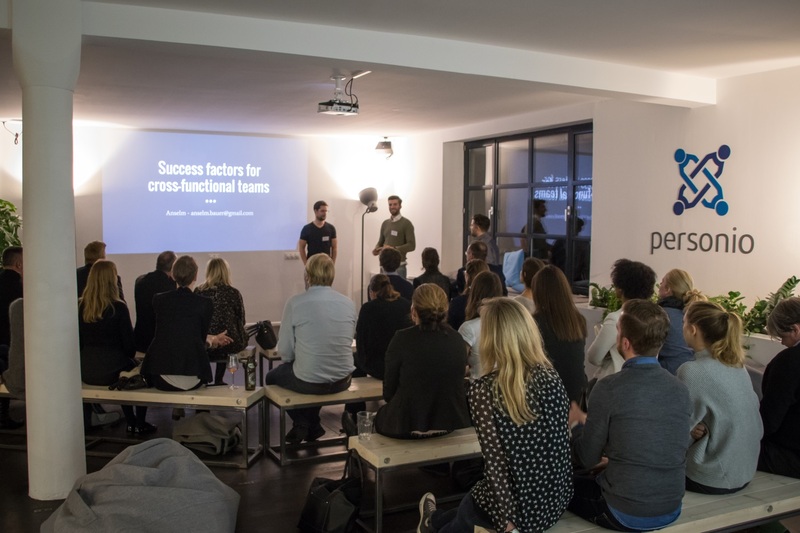 A one-million-euro investment, and the Samwer brothers, founders of Stylight and eGym, are on board – things are definitely going well for the Munich HR startup Personio. We talked with the four founders about how the bootstrapped startup got to where they are now, and found out what makes their product so unique. Nonetheless, the team led by Personio’s founders – Hanno Renner, Roman Schumacher, Arseniy Vershinin and Ignaz Forstmeier – had confidence in the startup during that time thanks to the overwhelmingly positive feedback from their first client. The company’s success proved that their confidence was justified. With its holistic, cloud-based HR and recruiting solution for small and medium-sized enterprises, Personio grew its customer base from roughly 20 to 100 companies in 2016. It is worth noting that this growth was solely due to the lead marketing channel of “recommendations from existing clients.” On top of that, the company was able to win over the Samwer brothers, who are prominent investors as well as the founders of Stylight and eGym, Global Founders Capital and Picus Capital. Compared to US service providers, the Munich-based startup is also distinguished by its high data protection standards. The servers are all run by certified providers using data centers located in Germany. 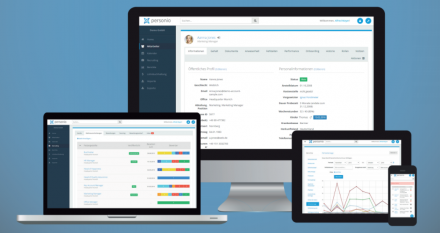 Furthermore, many companies appreciate that Personio offers all of the HR processes that small and medium-sized companies need, essentially from a single source. That saves time, money and importing work. When it comes to target groups, the Munich company also takes a different approach than the heavyweights in the market such as BambooHR, PeopleHR and Zoho People. Personio focuses on companies with 10 – 1,000 employees. According to the Munich startup, no smart solutions have been developed for this target group yet. When considering the 400,000 small and medium-sized companies in Germany alone, the number of potential customers is not to be scoffed at. In addition, every employee is given access to their own personal account where they can be directly involved with HR processes such as vacation requests, master data changes and applicant evaluations. The access rights for each account can be configured as needed. The primary goal is to speed up and simplify the management of recurring processes and to ultimately give HR departments more time for value-adding activities. What do you have planned next, with a one-million-euro investment in your pocket? On a more serious note, Hanno, Roman, Arseniy and Ignaz feel that there is definitely still room for improvement in the Bavarian state capital. Especially when it comes to scalable office space at affordable prices — it is just too difficult to find in Munich, particularly in a central location. To help them convince good developers to relocate from abroad, the four founders also hope that Munich will become even better established as a startup city in the future. We’ll keep you informed — about Munich and Personio.